The website of Alcyone Lodge No. 695 located in Northport, New York regularly posts Masonic papers, including some of the Short Talk Bulletins from the Masonic Service Association. They posted one this week on the subject of Attracting Masonic Leaders, originally written by MW Bro. Houston A. Brian, Past Grand Master of the Grand Lodge of Arkansas. With our population increasing rapidly, with the longest sustained era of prosperity in the history of our country, with shorter working hours and, consequently, more time for activities of one's choice, it would seem that membership in Masonry would be increasing steadily. 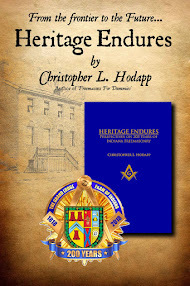 Before we criticize our former Brethren too severely for allowing their membership in the Craft to lapse for non-payment of dues, perhaps we should take a long, hard look at Masonry as it is being exemplified in our Lodges today, particularly in relation to the leadership qualities of the officers in our respective Lodges. In doing so, let's attempt to ascertain the reason for our present dual dilemma of suspensions on the one hand and the lack of interest in the Fraternity by non-members on the other. Today young men reaching their majority are better educated than those of any generation which has preceded them. They have been taught by us to spend their leisure time wisely and to affiliate with organizations that are run smoothly and efficiently by competent people with leadership ability. Is it any wonder that it is difficult to keep them interested in an inefficiently run Masonic Lodge? Does the Masonic Fraternity have within its membership Brethren with leadership ability; and if so, why do we not put these Brethren's talents to active use in our Lodges? Most men with leadership ability are called upon in the community to give of their time and talents in many avenues of service. Because of this, many of these Brethren will refuse to give seven years' service to their Lodge, but would, in many instances, serve faithfully for three years. I submit to you that a real leader can contribute more to Masonry in three years than a great many of the of officers of our Lodges at present could contribute in three score years. Very interesting observations by MW Bro. Brian. A growing population, yet decreasing numbers in our jurisdictions. Frustration about finding qualified officers and potential lodge leaders. It sounds like many of our lodges. This talk was written almost 50 years ago, in 1969 for the Southwestern Conference on Masonic Education. Go back and read the whole thing. The grand masters should appreciate that we do need younger leaders and we need younger leaders who are aware of Masonic history. The sad problems that Freemasonry is facing are partly because the leadership is unaware of its history. Notice that I don't say unable to understand, as I think most grand masters have the ability to understand if they had the will to understand. Some have only the vaguest idea of what the place of Masonry in the Enlightenment was about, of the differences between the British, French, and American Enlightenments, and of the role that Masonry played in the creation of all three and of an open society and all the benefits that that special environment created. Hence we find that the Founding Fathers rather than acknowledged as freethinkers with little patience for orthodoxy are depicted as religious zealots who wanted to found a sectarian Christian state. The consequence is the current crisis in the fraternity is that the the country has gone into the future while the Craft faces a crisis as great as that of the Morgan affair by jettisoning that openness to differences and diversity embodied in recent Supreme Court decisions and in the views of the age group it desperately needs to attract. The genius of Freemasonry was its generosity of spirt, its resolute advocacy of individual freedom, and its exasperation with dogma, all of which is summed up in the symbolism of its rulers occupying the chair of Solomon. Not is trials of people for their friendships and loves. At a time when America is strained by confrontations, when there is talk about civility but little civility, the historic insistence of Masonry on tolerance should not be compromised by the personal religious views of leaders. An understanding of our past testifies that we are not a Christian fraternity, we are not a Trinitarian fraternity, we are not a Bible-based fraternity, we are not a fraternity whose idea of the moral good is a denominational one. That is not to criticize those with those views, but we are simply not about those views. We cannot continue with the racial and relationship positions that some have adopted in our name, a stance which is accelerating our decline. An abyss faces us. Brother Rich, Thank you for sharing your astute observations. I agree that Freemasonry's ideals have contributed mightily to the development of Western society since the 18th Century. I agree too that there is an amnesia regarding our history and not one we can forget lest we lose our direction permanently. MW Bro. Brian addressed the leadership crisis in terms of requiring fewer years of service of the Lodge leadership. In our day, the reality is that people "drop out of the line" all the time, often because they move to another location. (That certainly happened with me, when I dropped out of the line of my mother lodge in Florida to move to New York.) It is thus less likely, in our time, that someone would actually serve for a full six years in the line before becoming Master. The leadership crisis is, to some extent, of a piece with the membership crisis. 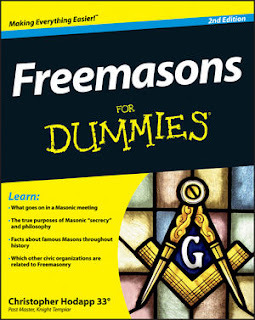 We fail to retain some members because the emphasis on Masonic education is so low in so many lodges. Instead, we emphasize lodge "business" in our meetings--dry as dust, and unnecessarily so. Here's some news that shouldn't be news at all: Men who are have leadership ability have great demands on their time. They do not spend time on activities that they perceive to have little value for them--so they leave, from lodges that do not emphasize Masonic education. Basically, we alienate good leadership by emphasizing business over education. And, of course, we alienate all sorts of members as well. Either Freemasonry will face the need to reorient itself to its true purposes--the development of good men into better men--or it will disappear. Bro. Paul Rich's comments are very well taken.